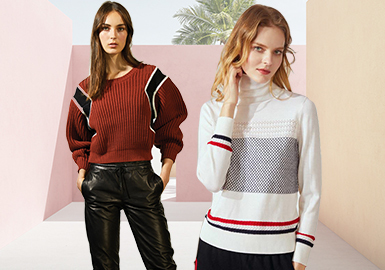 Based on POP's statistics, simple sophisticated and athleisure sweaters are most prominent. The top 10 items below blend fashion with creativity. 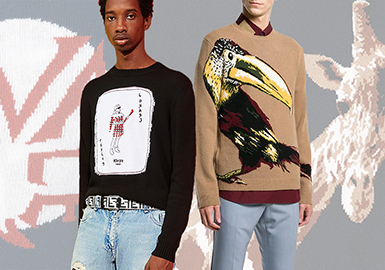 In Resort 2020, sweaters are prominent. Smart causal items are key, and business causal style sees an uptrend. Details are pared down, while patterns become important. 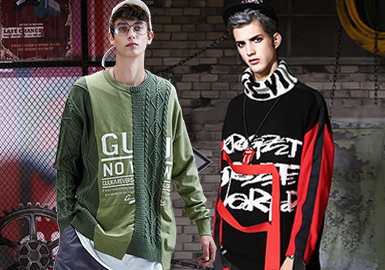 With the popularity of fashionable garments, more and more fashion people have started to shift their attention to Chinese fashion. The emerging of Trendiano, GENANX, INXX and VIISHOW brings newness. Knitwear in lounge style is increasingly popular. The combination of knitwear is elegant. Base layers are worn as outerwear in these seasons. The details of collars are important, shirt collar and square neckline become hot. Time and Jacquemus choose the classic shirt collar for a retro elegant style. Lorena Antoniazzi employs jacquard to mimic the sailor collar.